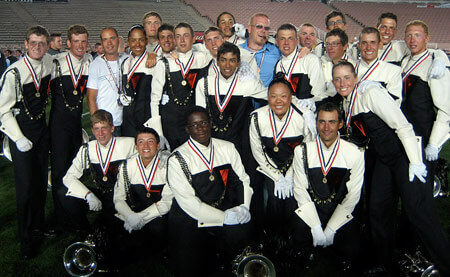 This photo is of the 2007 Glassmen euphonium section of 2007 after scores were announced at the DCI World Championships. I can honestly say that these kids next to me were the most motivating, inspirational, and impressive people I have ever met. Marching next to them was truly an experience of a lifetime.